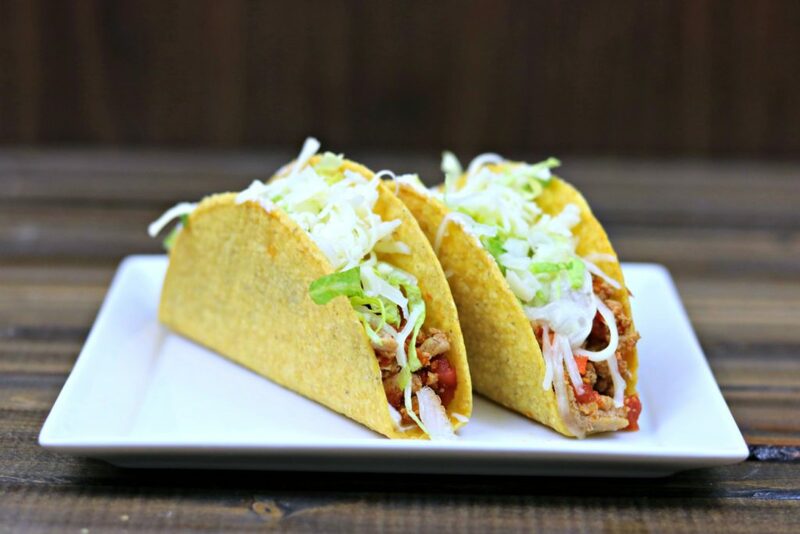 Crispy turkey tacos get a flavor upgrade with the addition of diced tomatoes and green chiles. Perfect for Taco Tuesday, or any other day! I love going back and remaking recipes from years ago. It’s amazing how many things I’ve made over the years, and haven’t made since – even though we loved them. This particular recipe is a throwback from 2012, and I think I have made it a couple of times since then, but it’s been awhile. You know I’m always trying to come up with new taco recipes, so some of the old ones get forgotten about until I start going back through the archives with the intention of remaking old recipes. Tweaking recipes, updating photos – all part of the improvement process!! 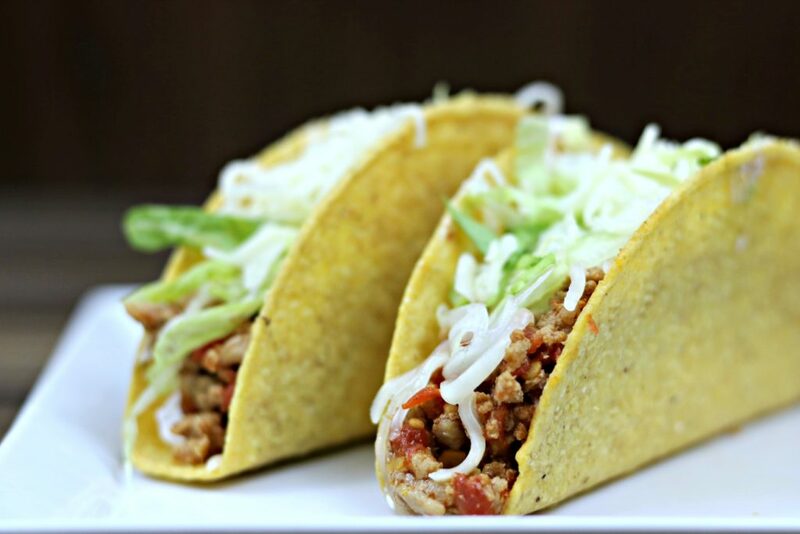 I have always loved crispy tacos – as far back as high school and Taco Bell lunches, I remember loving them. Somewhere along the way, they took a back seat to soft tacos, but in the past year or so, I’ve been able to bring them back into a semi-regular rotation and I am loving it!! I think for me it’s all about the texture. I love having that added crunch. That is also why I add chips to all my sandwiches, but that’s a subject for another day. 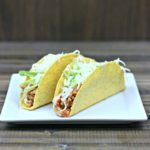 These crispy turkey tacos are full of flavor, both from the garlic, jalapeno and spices, and from the addition of diced tomatoes and green chiles cooked into the turkey mixture. Sure, you can always add fresh tomatoes and peppers on top of a taco, but when the flavors are cooked in – there’s no chance you aren’t getting all that good flavor in every bite. 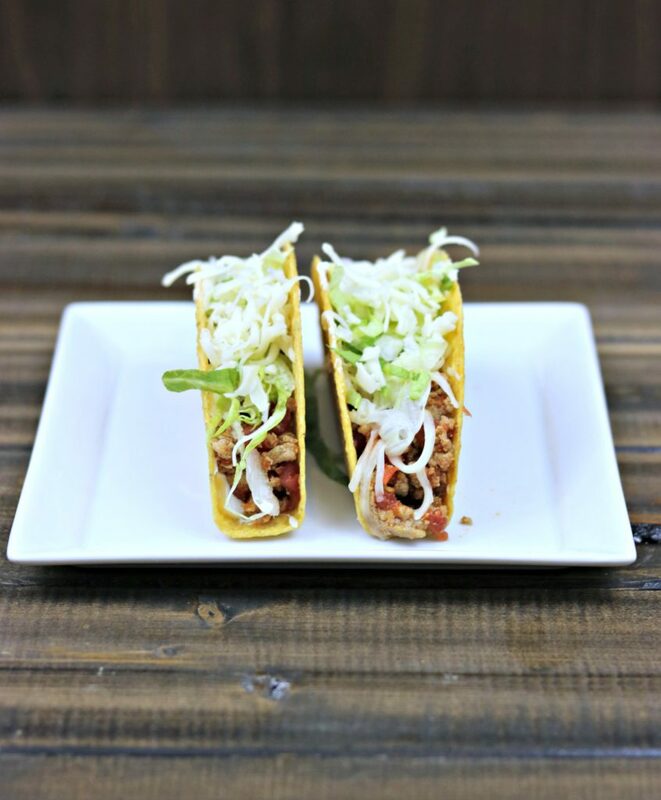 One of the easiest, quickest, and most flavorful tacos you can throw together on a weeknight – get it on your menu, stat!! Put the oil, garlic, jalapeno, and spices in a medium skillet and cook over medium to medium-low heat, stirring occasionally until peppers are tender, about 5 minutes. Increase the heat to medium-high, add the tomatoes and boil to thicken, about 2 minutes. Stir in the turkey and chicken broth, adjust the heat so the mixture simmers and cook until the turkey is cooked through and the mixture thickens but is not dry, about 10 minutes. Stir in cilantro and season with salt and pepper, to taste. To assemble tacos spoon in turkey mixture, and top with lettuce, avocado, sour cream, and cheese. I like the switch to posting on Tuesday! These sound awesome. Of course, I'm a fan of all things taco. lol. Oh no! I was wondering where you were yesterday and now I know. You know I suffer from migraines so I'm really sorry you had to experience one. These look delicious and I love the change to posting on Tuesdays. These look really yummy. 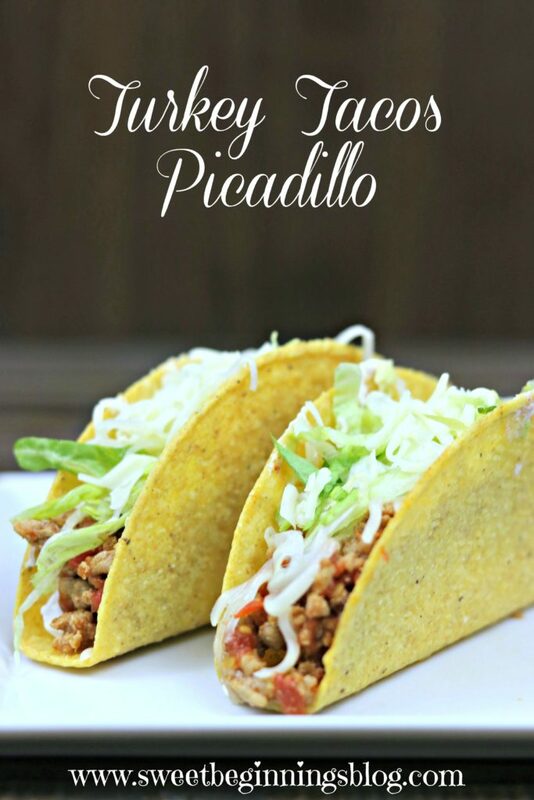 I haven't really met a taco I don't like so I can't wait to try these!